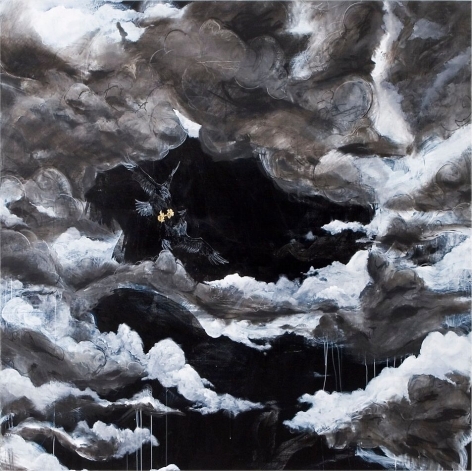 Fredericks & Freiser is pleased to announce a solo exhibition of paintings by Maximilian Toth. 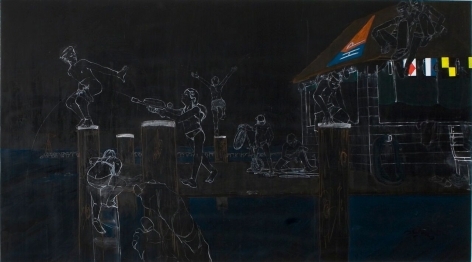 Toth makes large-scale canvases of sketchy figures on chalkboard-black grounds. 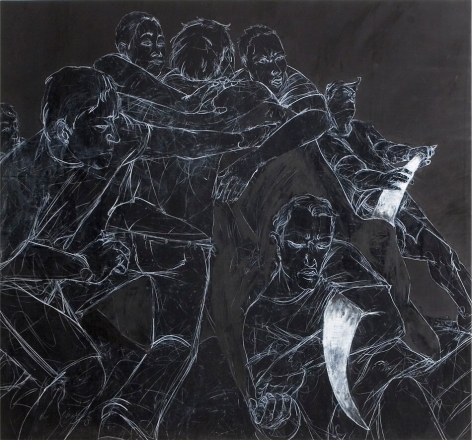 His figures consciously suggest a process, a fast rendering of a moment by which the raw physicality of a line describes both the potential to uncover a narrative as well as the active presence of a narrator. degrees of violence (from innocent to absurd to deadly), address larger issues. Like all myths they serve to soothe the uncertainties of those who tell and those who listen. 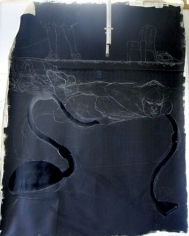 Toth's paintings aim to describe the narration from both points of view. Max Toth (born 1978) received a BFA from Art Center, Pasadena and an MFA from Yale in 2006. 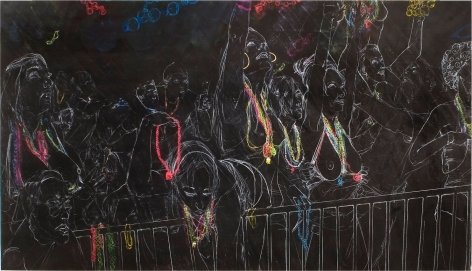 Since then, he has been included in group shows at Wadsworth Athenaeum, Dallas Contemporary, Daniel Weinberg Gallery, Jack Tilton Gallery, and Fredericks & Freiser. This will be his first one-person exhibition. 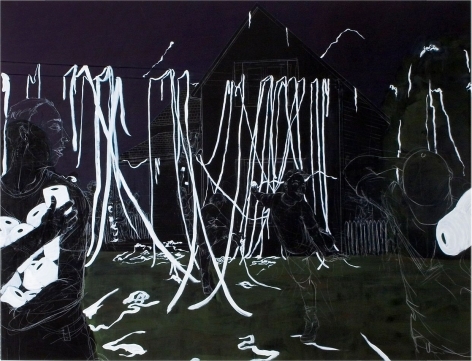 Toth was born in New Orleans, raised in Massachusetts and currently lives and works in New Haven.